What is the best use of hydrocolloid dressings? 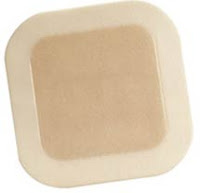 Hydrocolloid dressings are used in a wide variety of wound treatments, and they are the most common dressings used in hospitals, clinics and emergency rooms. They are also very commonly used in caring for patients in home health care settings because they serve to keep the wound moist, preventing problems between dressing changes that may occur if the patient is not hospitalized and receiving regular medical care on a daily basis. Hydrocolloid dressings are good for both wet and dry types of wounds, and are ideal for large wounds since they have the ability to adhere to wet areas of skin, unlike other types of dressings that will only stick on dry skin surfaces. A hydrocolloid dressing includes a variety of different types of dressings that are all designed to absorb exudate from a wound and create a gel within the dressing. This gel, which is formed by the gelling agents in the dressing combined with the moisture from the wound, then creates a protective barrier over the wound surface. Excessive exudate may seep through the dressing or be trapped inside, depending on the specific application used. The dressing can, however, only effectively manage so much exudate and then it will need to be changed in order to provide protection to the wound. Typically, the dressings will not require frequent changes with most remaining in place for three to five days with a low to medium amount of exudate being generated by the wound. There are many different types of hydrocolloid dressings , with transparent sheet styles of dressings an option for ease of wound management and dressing placement. Other options include pastes and powders that are applied to the wound and then followed by an occlusive dressing or hydrocolloid sheet dressing. Do hydrocolloid dressings reduce pain for patients? In some studies, research has indicated that hydrocolloid dressings reduce pain by soothing and keeping the wound moist, preventing trauma to the wound during dressing change. Often the hydrocolloid dressings are combined with occlusive types of dressing to both provide absorption and moisture retention as well as full protection for the wound site. Depending on the type and size of the wound this can be an effective option for low to medium exudate wounds and minor skin wounds. What types of wounds are best suited for hydrocolloid dressings? Hydrocolloid dressings have been used in a wide variety of wounds and skin grafts. They are also recommended for patients that have ulcers and wounds due to complications with diabetes. It is important that necrosis be completely treated before applying hydrocolloid dressings to any type of wound, particularly those caused by diabetes. In addition, hydrocolloid dressings have been used in the treatment of MRSA, again combined with an occlusive dressing. The occlusive dressing provide a barrier to prevent the spread of the MRSA and the hydrocolloid dressing keeps the area moist and healing without the need for multiple dressing changes that increase exposure and increase tissue trauma.